You’ll run a fast, flat run alongside the Willamette River at this race just outside Eugene, between the small nearby towns of Coburg and Harrisburg, at the annual late summer running of the Pacific Northwest Marathon, which also features a half marathon and a 5K that bills itself as the “last chance for Boston,” meaning it’s your last day to qualify for the Boston Marathon. That’s because the race ends just four days before the deadline to qualify for the race, which for all intents and purposes means it’s your last opportunity — so take advantage of it if you’re running the full marathon! 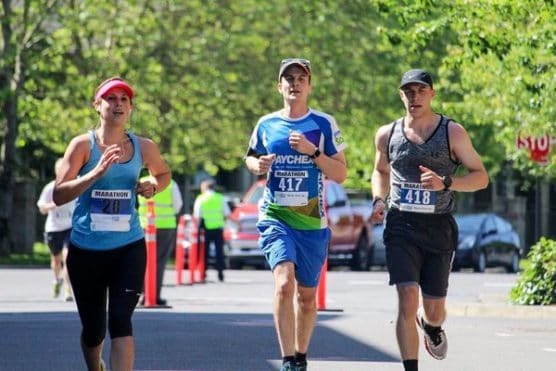 For those running the half marathon, the course is equally as beautiful, scenic and fast as the 26.2-miler — you’ll begin the race just north of Eugene and the small town of Coburg, along North Coburg Road, and it’s a USATF (USA Track & Field) certified course. Once you leave the starting line, you’ll start heading north and follow the Williamette River as it flows downriver in the direction of Harrisburg, the small town where you’ll cross the finish line. The half marathon starts at an elevation of about 380 feet above sea level and gradually descends throughout your 13.1 miles, dropping only to about 315 feet by the time you cross the finish line in Harrisburg, on 9th Street next to Harrisburg High School. Nestled near the confluence of the Willamette and McKenzie Rivers in western Oregon, about 50 miles east of the state’s coastline, Eugene typically sees some of its mildest temperatures and driest weather of the year in September. 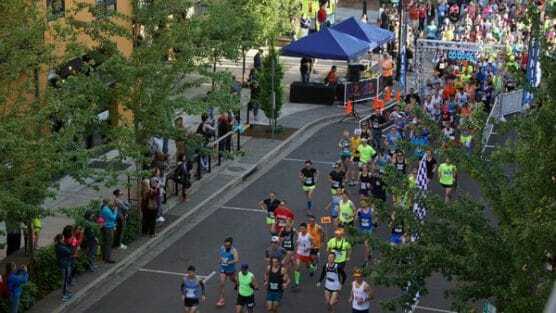 See the race route map for the Pacific Northwest Half Marathon here. 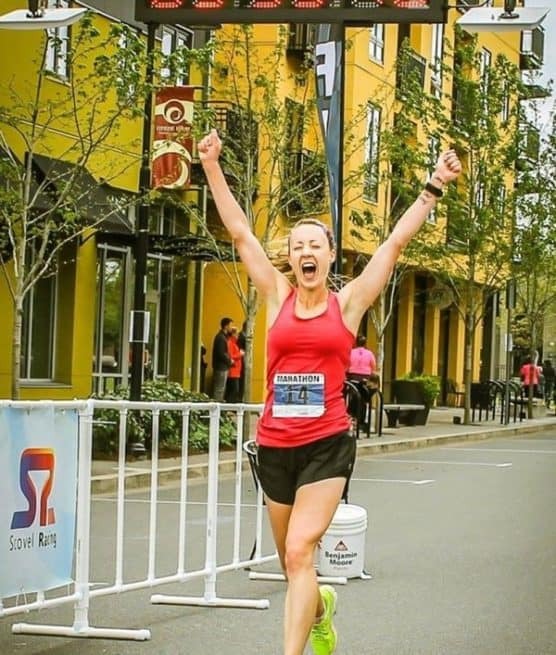 To reserve your spot in the 2019 running of Eugene’s Pacific Northwest Marathon, Half Marathon or 5K race, register online at RaceEntry.com here. 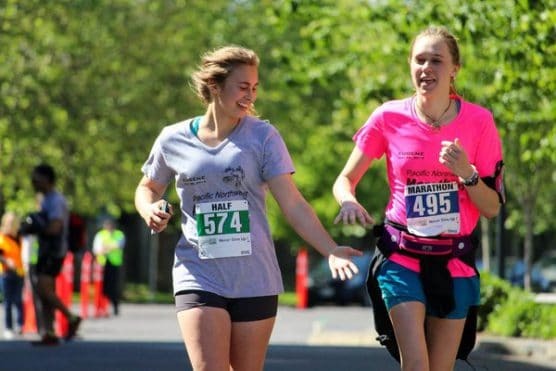 Ever run in the Pacific Northwest Half Marathon? Share your impressions here, as well as anything you learned about the race that you think other runners/walkers should know.